How the heck do you get Shapeshaver working on OS X? I tried to install Classic-On-Intel on my mom's Mac Mini so she can play Myst again. Couldn't get full screen to work, can't change the configuration files cause CoI won't let you and post-Lion OS X won't let me use CD's or even ISO images. Oh and you need a certain version of QuickTime for Myst to even work and it's not the latest version for OS 9. We both decided it would be easier to just hook her old iMac back up. And I say "easier" loosely because of having to lug that heavy thing up from the basement. And yet it still works perfectly. If you must replay Myst (a dubious notion, in my opinion), this would be an easier way to do it than emulation, with better results. This remake is likely to be more like you remember it, which is better than it actually was! Cheers to you for keeping the old iMac beast around after all this time!! My setup. 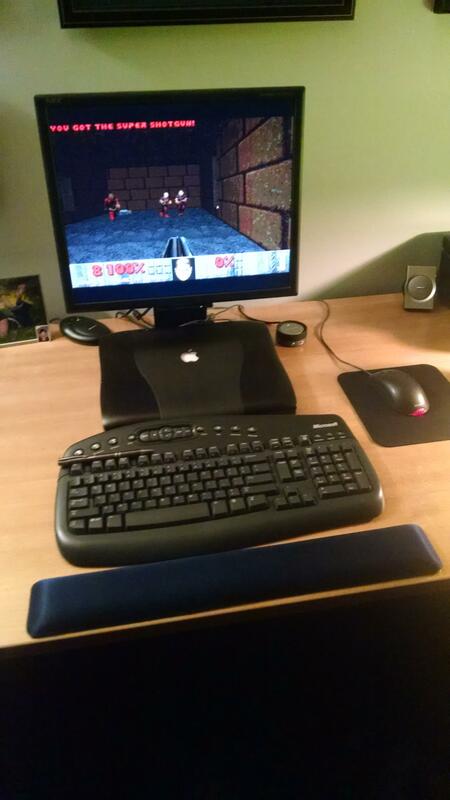 Have figured out the resolution to use for the older Mac CD-Rom games 640x480 and really loving it. The only pain i've run into is that this wireless keyboard mouse setup works for OSX, but the mouse doesn't work for 9.2, so I have to haul out a wired mouse to use when in 9.2 mode (looked in settings, couldn't find a way to pair it.) Other than that no complaints. 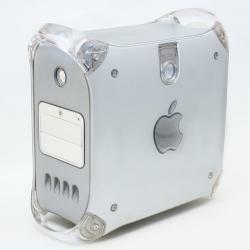 Can anyone recommend a game-pad that would work well for a 2k era mac? There was a Gravis GamePad with an ADB port. That's how I played games like that in ye olden tymes. Shouldn't be too hard to find. If you have a USB port there are many many many more options. I think you made a great choice of laptop, much better than the one I made, lol. I bought a Powerbook G3 Main Street, which has a passive matrix screen, which is terrible. I have it hooked up to a VGA monitor, but the hard drive takes a long while to boot, so I use another old Mac instead most of the time. 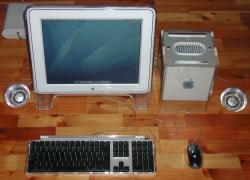 I quite like classic Mac OS. 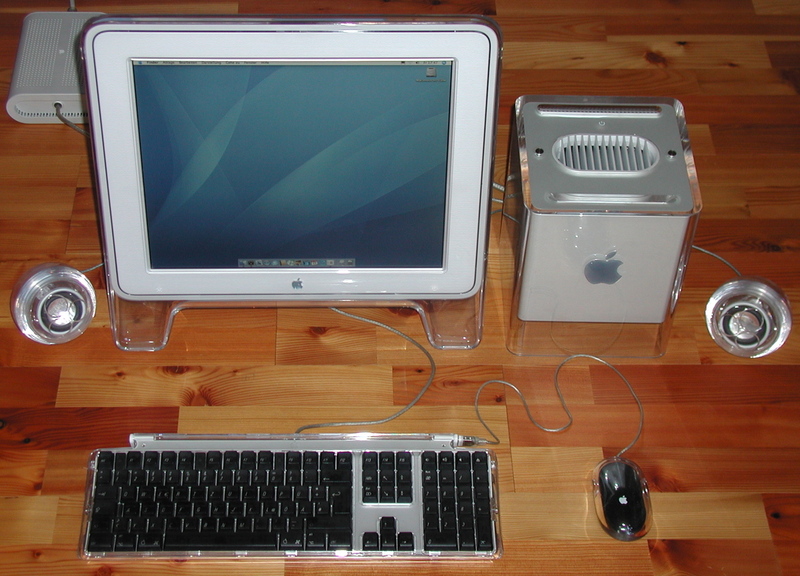 I have an iBook G3 as my main OS 9 Mac that I use for creative writing and a little gaming, mostly Wolfenstein 3D and Sci-fi pinball. I think the PISMO was the first PowerBook to eliminate SCSI and ADB ports. I have two USB 1.1 ports so I guess any old gamepad will do? I just want to get it right the first time RE compatibility; so if anyone knows of a PAD that works great for early 2k macs it would be much appreciated. Played this thing all weekend, mostly SimCity2000 and the urban renewal kit. Too fun, great computer. I suspect you're right, any OLD USB game pad should work. HID drivers on old macs are a PITA though, you might need to dig out some companion software for it. That's what i'm afraid of...may cruise ebay for a bit looking for an old USB gamepad that comes with an accompanying software CD and says "Mac Compatible"
Going to get into the Marathon trilogy next. Marathon Trilogy is something. You can see the bones of Halo in it if you squint a little. Everyone except Travis might enjoy the free, modern ports of the Marathon Trilogy for today's hardware: https://alephone.lhowon.org/which run great on just about anything, including cheap fanless netbooks and tablets.